In Spain and Portugal, the word Duende refers to spirits like goblins or sprites. 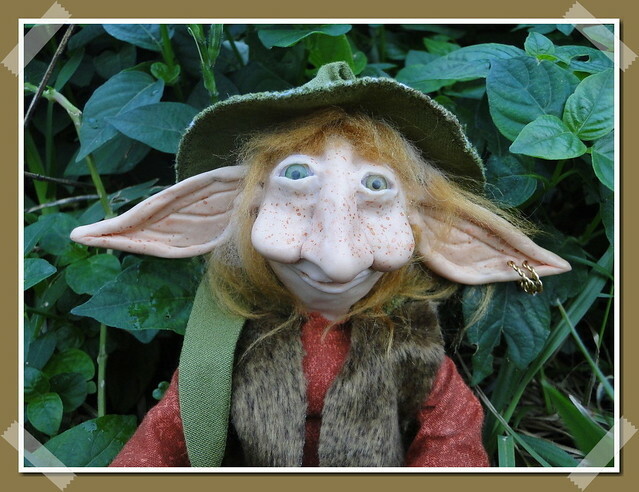 Like the English term goblin, Duende is a vague term. A Duende may be any kind of small spirit. In general, they are associated with wild nature, very like a sprite, although the word is sometimes also used to indicate small household helper spirits, like a brownie or lutin. They are mischievous and sometimes have a wicked sense of humor but are generally not harmful (although there are exceptions). In parts of Latin America, however, the term Duende refers to a more specific type of spirit. Duendes are tiny ghosts: souls of fetuses and unbaptized infants. They are hungry, persistent, nagging ghosts. It is difficult to reason with them or propitiate them because they do not speak or comprehend: they just yearn and crave. The most dangerous Duendes are souls of undesired, discarded newborn infants who have been killed (suffocated, strangled, drowned, whatever) or just abandoned and left for dead. Duendes haunt sources of fresh water—rivers, streams, or springs—but they usually try to rejoin the families into which they had anticipated being born. It is unclear whether they are angry and intend to cause harm or whether their presence alone is sufficiently toxic. They are potentially harmful, especially to living siblings who are often the only ones able to see them. Duendes should be professionally exorcised, but because many are the result of secret pregnancies, they are left to cause illness and harm.